Neil Cronin makes no bones about it - he was convinced that his dream of earning a professional contract had been and gone. As the Limerick native reflected on his first brief stint in the Munster set-up in 2014, Cronin felt that he only had himself to blame. Racked with self-doubt, the then 22-year-old scrum-half was overawed by the calibre of player he was suddenly parachuted into playing alongside, and before he knew it, he was back to square one. 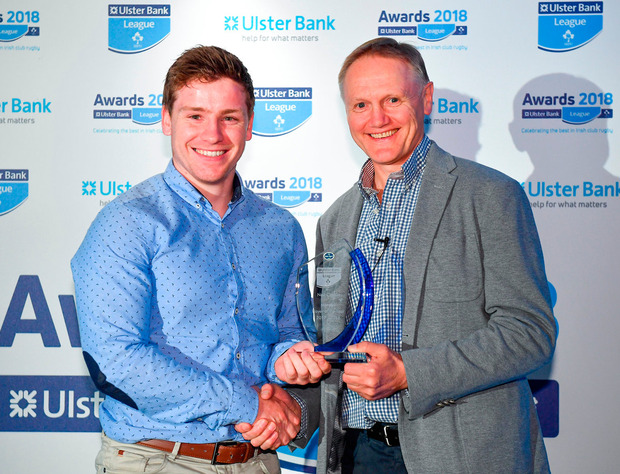 Earning a chance to prove yourself in a professional environment via the All-Ireland League (AIL) doesn't happen all that often, and while that is slowly changing, it is even more rare to get a second opportunity to do so. With that in mind, Cronin decided to turn his attention to life outside of rugby as he qualified as a secondary school teacher. Playing with Garryowen provided the former Castletroy College student with his rugby fix, but any notions of going further had been parked. Slowly but surely that began to change. With the pressure off, Cronin was suddenly enjoying his rugby again, which was reflected in his performances for the Dooradoyle club. It helped too that his older brother Sean was enjoying success with Leinster and Ireland - nothing like a sibling rivalry to reignite your lifelong goal. "If I'm being honest, I definitely thought I missed my chance," Cronin tells the Irish Independent. "It was heartbreaking when I was in with Munster. I was in fourth year of college. "I almost feel now that if fellas don't make it when they come out of school, they think the dream is gone, even though it's not. There is always a back door to get into clubs, once you play well. "I was 22 when it all came about and then when things didn't work out for me, I did think that was the end of it so I put my teaching career first, and wanted to just play rugby to enjoy it. I think when you do enjoy it, you almost play better. "Look, when I was in there the first time, I felt that, not that I didn't give it my all, but I was a passenger more then anything. I was feeling like I almost shouldn't have been in there. I felt that I maybe didn't deserve it. "I didn't grab it with both hands, whereas now I am 25 and I have that few extra years' experience. I feel more mature going in there. "I definitely know that it is now or never, so I'm not going to leave that set-up without knowing that I have given 110pc to it. "When I went in at first, you're almost thrown in at the deep end. You're playing with guys who don't know you. "Also in the back of your mind you're thinking... not do they respect me, but I haven't done the graft through the academies that most of these guys had done. "Some of them went through a year of the sub-academy, three years of academy, maybe another two years of development, and they're finally getting their shot, then all of a sudden I'm drafted in at 22 and I haven't gone through any of that. "That was in the back of my mind. I was thinking, 'Well, these guys don't look at me like a senior player, so I should take a step back.' Instead of just putting my chest out and saying, 'I deserve to be here.'" 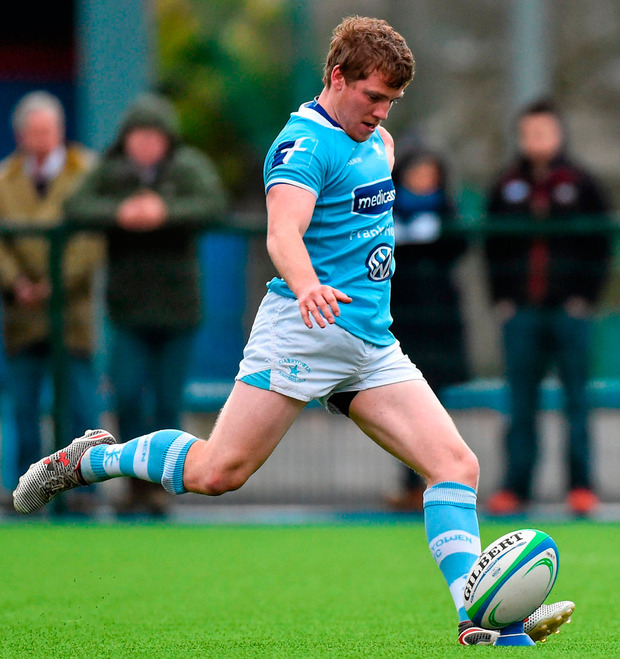 A stand-out goal-kicking scrum-half for Garryowen over the last couple of seasons, as well as the Ireland Club side, it wasn't long before Munster were keeping tabs on his progress again. However, he had moved on since putting all of his eggs in one basket. Cronin had worked hard to secure his teaching degree and on the back of it, got a job with St Munchin's College, where he settled in seamlessly. But when Johann van Graan arranged a meeting with him, Cronin's head was turned. "I just think at 25 now, it might sound a bit blunt, but I don't care what people say or think," Cronin says. "I know I deserve to be there. I believe in myself now a lot more than I did. I believe in my ability. "Not that I didn't believe back then, I definitely believe that I'm at a standard where I am capable of showing and doing things that I see players doing week in, week out on the TV. "Look, Munster knew I was a teacher at this stage. I had been teaching for three years. "In fairness to them, they were very understanding with everything. I met with Van Graan himself. We had a good chat about where I would fit in if I was to come in. It definitely opened my eyes. He knew a lot about me. He gave me a lot of information about what he thought I could bring. It wouldn't just be a case of filling the numbers. I'm coming in for a reason. "When they offered me a senior contract, I couldn't say no. Look, it's always been the boyhood dream to play for Munster. "You just can't say no. You'd be sitting down watching the TV and saying, 'I could have been there. I could have been doing that." As well as teaching technology and technical graphics in Munchin's, Cronin was part of the Junior Cup coaching team that helped bring success back to the Corbally nursery for the first time in 20 years. Coaching has helped give Cronin a different perspective on rugby, and since beginning pre-season with Munster, his experiences in Munchin's have been fresh in his mind. "You get a different insight into how rugby is seen when you're coaching young fellas," he maintains. "In Munchin's rugby is life for some 14/15-year-olds. You get an appreciation for how different it is for a kid in a certain circumstance that maybe doesn't have everything that you have, but rugby is his life. "That definitely makes you try harder, especially when you're going into a professional set-up. "You see a young fella and he might not be interested in school but he comes into school because he has rugby training on Monday, Wednesday and Friday and that's hugely important for him and his life. "He's there looking at it going, 'Well, I have no interest in sitting down in maths class but I just can't wait to get out on to the pitch and throw a ball around.' And that's what he wants. Coaching the Junior Cup team this year, even with everything that has gone on, has been one of my highlights." With Munster due to play Leinster over the festive period, the Christmas dinner table in the Cronin household will be an interesting affair this year. Growing up, Neil always admired what Sean achieved, even if he was playing for Garryowen, while his older brother was winning AIL titles with the Sky Blues' arch-rivals Shannon. "Whatever about Munster-Leinster, Garryowen-Shannon is the biggest rivalry," Cronin laughs. "When everything was coming about with the contract, Sean was one of the first people I rang to discuss what he thought. He's got a great rugby brain. He knows exactly what I'm going through. "He's done every step you can possibly do, so there is no better person to get rugby advice from. "There is always a small bit of jealousy there in the background. Especially when I was in at 22, thinking maybe it wasn't going to happen. Not that you almost live through his life but you do see what could have been. "Now there is that bit of hope again. The dream is to win trophies; win Grand Slams, Champions Cups, PRO14s. When you see someone so close to home doing that, that's all you want." Cronin may be a late developer but at 25, time is still on his side and if he can achieve half as much as what Sean has, he won't be doing too badly at all. "By the time March/April comes around, I want to be signing another contract for 10 years," he adds with a smile. "That's the ideal goal, but I'd take two."